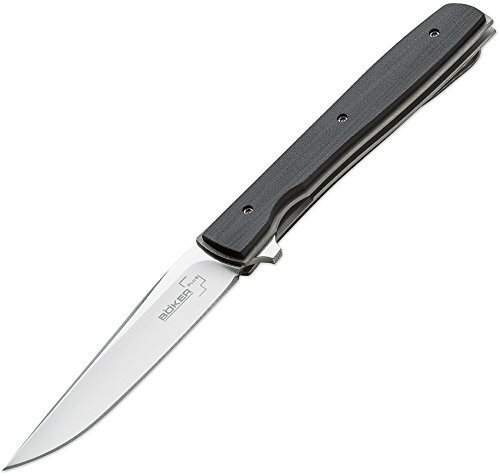 The Boker Plus 01BO733 Urban Trapper Carbon has an extremely low profile and slender design, together with refined materials such as VG-10, titanium and an IKBS hinge lead to an incomparable pocket knife for demanding users. 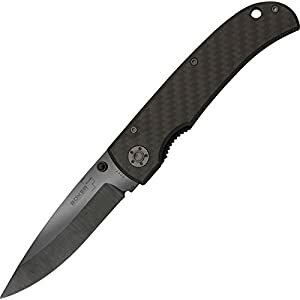 This version offers carbon fiber care for scales , which give a quite fuller grip feel along with the visual appeal. 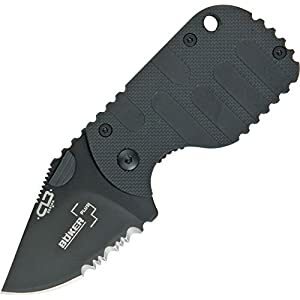 Blade length: 3 ½ in. Overall length: 7 ¾ in. Weight: 1.8 oz. 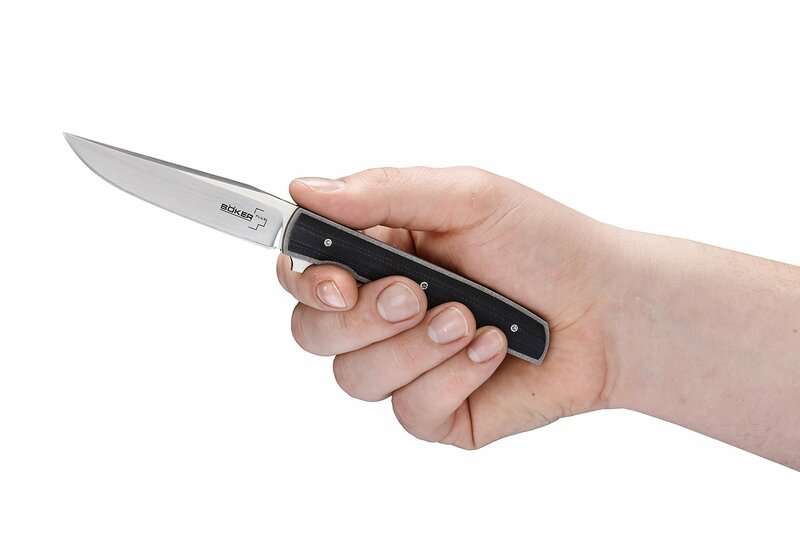 This Boker Plus knife isn’t only for cutting, it’s for leaving a mark. Limited lifetime warranty. A chestnut tree is the arena famous trademark of the Boker knife manufactory in Solingen, Germany. It represents cutting edge, top quality, exceptional knives, manufactured with pride, by hand, for over 145 years. 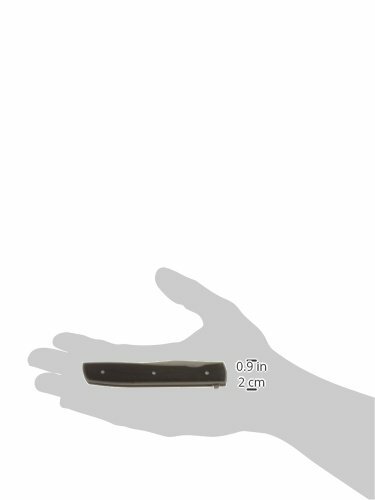 Blade length: 3 ½ in. Overall length: 7 ¾ in. Weight: 1.8 oz.